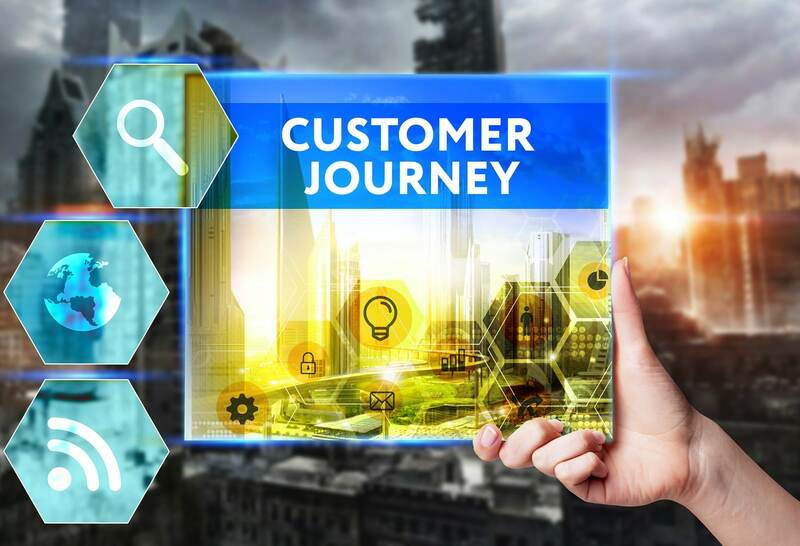 A customer journey map has much more to do with your business and marketing campaign than it does the actual customer- but with the addition of social media, interaction and engagement between customers and a brand is now a vital aspect. Now with the popularity of social media, the “introduction” step can be a customer browsing through their feed and seeing an ad for a brand, possibly even liking the brand’s page. This is the digital version of a customer walking past a brand’s storefront. So what is the map? Does is it resemble that atlas we pull out of the glove compartment when we get lost? Not exactly, but it can be used to help companies stay the course and keep them from getting lost or losing customers (literally). We haven’t gotten that far, however, and defining that map is the next step. Those “interactions” will vary for each company, every industry and every business which is why customer journey maps can look drastically different from one another. Yet the primary principles of any customer relationship remains the same. With the prominence of social media, “interactions” are now mostly online through various social platforms. A customer can like and favorite a brand’s page and other various content. That content can be shared – and through this, more potential customers would view it. A brand can respond to a customer’s message whether it be a praise or a concern they have. Maps will represent those interactions including the company’s introduction and communications with the customer all the way through the entire process. Some businesses, depending on the nature of their business or industry, will have maps that are continuous and represent an ongoing relationship with the customer. With that in mind, this means that your mapping tool will be tailored to align with what the “touchpoints” of your business are with your customers. Are your customers introduced to your business online, through a storefront or via some type of inbound marketing plan? Is your business expected to have an ongoing long-term relationship with the customer or do you sell a product or service that doesn’t warrant an ongoing relationship? The map of your customer’s journey will reflect how your customers are expected to flow through the process according to your company structure. It should also include how a customer navigates through your social media; can they link to your website? Buy directly from your social media page? Your map should outline and display the ideal situation and the best customer experience, in essence, your best case scenario for your buyers. A customer journey map will avail a few immediate benefits for your team, salespeople and marketing campaigns. Once you have established the desired path and channels for your customer to follow and created a map to visually, quickly and easily recognize that path, the benefits are instant. At once your entire company can see, recognize and collaborate on the primary focus- the customer experience. It will also allow them to see and learn to recognize where a customer is in the process. These are a few of the instant benefits afforded through customer maps. Forbes recently had an article discussing this very topic, one statistic in that article cited that 63% of marketers use journey mapping. Your customer journey map is likely going to be more useful and offer more advantages well after it has been created. Troubleshooting your business operations is possibly the greatest benefit of having a customer journey map. Your map will detect issues, reveal areas that can be improved and allow you to gauge how well your business is operating. Especially with social media, a customer can directly message your business with concerns that you can more easily take into consideration. Perhaps you are getting everything out of your marketing campaign except customers aren’t coming back. A customer map will even be useful in recognizing that there is an issue with customers not returning. How much your map offers to your company and the flexibility of its use will have everything to do with how you design it and use it. Creating a customer journey map can be a lengthy process and require some considerable hours of effort. Everything from how your customers interact with your company to how pleased they are at the end of the day can be improved with this tool. The customer journey map isn’t about the customer, it is about how your business can deliver a better customer experience. When you see smiling, happy and paying customers you will quickly realize that your customer journey map was worth the time and effort. Your customers may not know about the map but they will appreciate it. If you haven’t considered using a customer journey map, perhaps you should? If creating such a tool is something you want to do but just aren’t sure where or how to start; if you’re new to social and aren’t sure how to incorporate it, that’s okay there is help. For more information about customer mapping or virtually anything about your marketing campaign contact us.